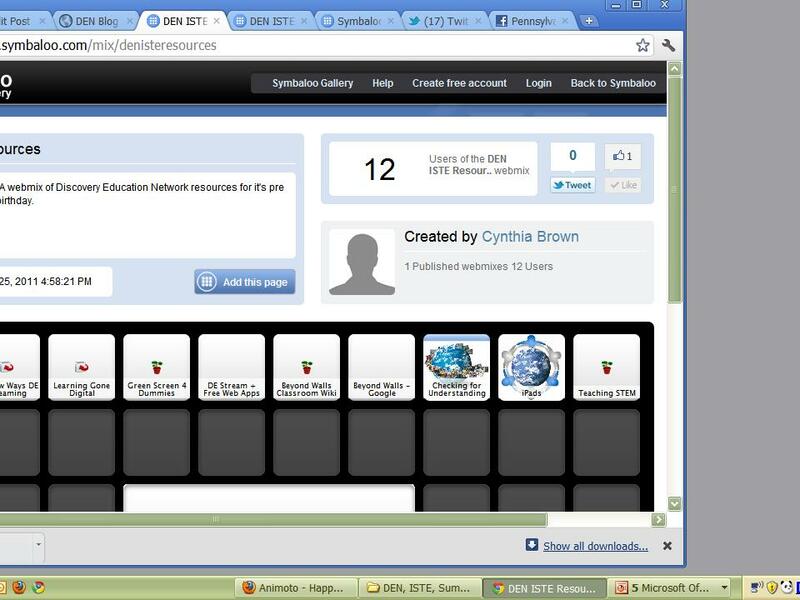 DEN ISTE Resources from Cynthia Brown linked in Patti Ruffing‘s post, Create Your PLE With SymbalooEDU. Resources from DEN’s Birthday Bash: Great Tool but no embeddable code yet. 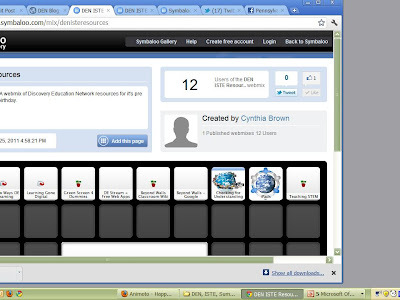 Be sure to check Dean Mantz‘s Cover It Live for more resources from the DEN.